Tamlin Homes was the general contractor for this 5,000 square foot custom west-coast style home in North Burnaby . The architectural design, and interior work were carefully coordinated over a 4-6 month period. Visualization of the final drawings were helped significantly with our 3D colour renderings which showed the interior and exterior of the home as if you were walking through the building. 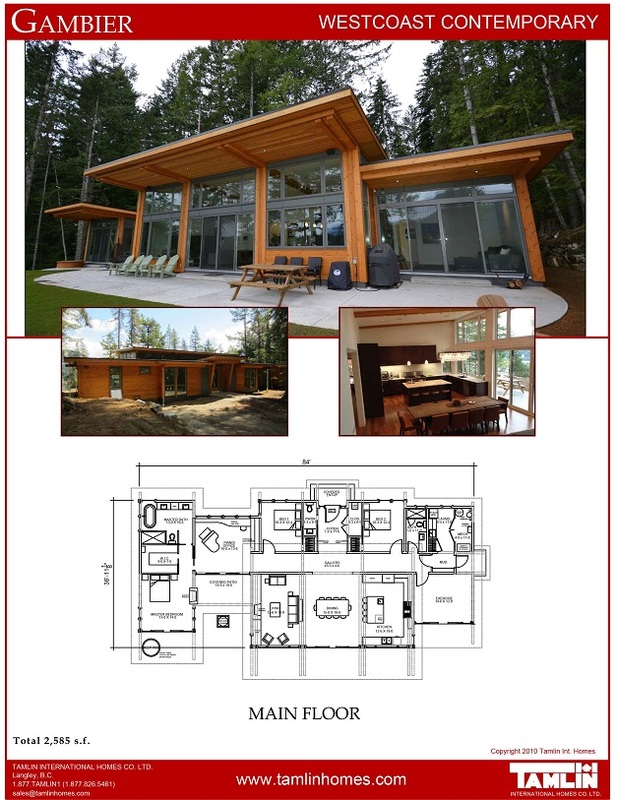 This custom designed home features a warm, contemporary timber entry, an 18 foot vaulted great room with timber beams, and an open concept post & beam kitchen -dining area. 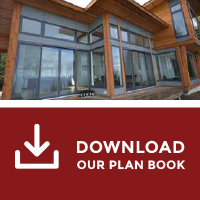 The outdoors are brought in by way of a 300 square foot timber frame covered deck which is accessed through a stunning 16 foot patio door – window combination all in solid douglas fir. The 9 foot ceilings allow plenty of natural light to enter all the rooms. A family-friendly deck which has easy access from the backyard is perfect for summer barbeques and family gatherings, and in Burnaby where it can rain a lot in the winter, it does not matter what date the kids birthdays fall on – winter or summer! The deck will always be waterproof. The contemporary theme of the home was achieved through the use of the exterior low-slope roof lines, crisp and clean exterior finishes such as the clear western red cedar soffits and siding, refined stucco finish. The subtle variances on the natural grey tones complements the wood tones. The outside lighting which is positioned on the ground pointing up, provides a warm glow to the exterior natural wood features. On the inside of the home, the clean and crisp look is maintained with linen colored walls and simple white kitchen with grey island . Not too shiny or not too flat but just the right finish. Eight inch high baseboards provide a clean contrast to the rich wood flooring. The featured 10” -12” douglas fir posts and beams provide the perfect balance without any hint of overpowering . A 20 foot feature solid timber slab graces the sleek black and grey fireplace. The bathrooms with round pebble stonework floor tile and over-sized grey wall tiles provide a natural elegance. The eco-friendly materials used included a rich textured wide plank bamboo flooring, low VOC stains and paints, and believe it or not, all the incredible timber components are completely sustainable, so even in 50 or 100 years, they can be recycled and re-used! For optimum energy savings, a heat pump (for cooling and heating) was integrated into the HVAC system. Windows have thermally insulated glass and Low E3 coatings. Appliances and lighting are also all energy efficient fixtures. This home has it all for large family. Four bedrooms upstairs, with three bathrooms, walk in closets, open concept main floor with kitchen, laundry and mudroom, walk out deck, full basement , and a 700 square foot double garage with 11 foot ceilings. Call Tamlin today at 604-856-1190 for more details on this beautiful North Burnaby home.